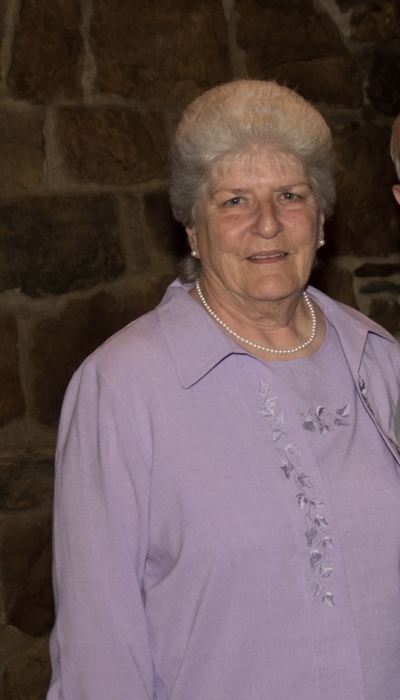 Rose Ann Endress Poloff, 74, of Saltsburg passed away, Sunday, February 10, 2019, at her home surrounded by her loving family. She was born Friday, November 17, 1944, in Tarentum, the daughter of the late Joseph and Kathryn DeForno Endress. Rose worked in window manufacturing for over 20 years first at Season All in Indiana and most recently, Winchester in Saltsburg. She loved trips to the casino and spending time with the family. She is survived by a son, James Poloff (Pam Patterson) of Avonmore, a daughter, Kathryn Miller and her husband, Mitchell, of Saltsburg, three grandchildren, Lucas Poloff and his wife, Mandy, of Shelocta, James Poloff and Nicole Poloff both of Avonmore, two great grandchildren, Quinn and Ella. Six brothers, Joe Endress of Clarksburg, David Endress and his wife, Patty, of Mamont, Ken Rumbaugh of Edmond, Barry Rumbaugh and his wife, Dianna, of Avonmore, Thomas Rumbaugh of Avonmore, Jim Rumbaugh of Avonmore, 7 sisters, Lisa Flick and her husband, Richard, of Tin Town, Gail Sofaly of Vandergrift, Sandra Shannon and her husband, John, of Avonmore, Martha Mack of New York, Dawn Hayes of South Dakota, Judy Weister and her husband, Clarence, of Perrysville and Bonnie Elias of Michigan. In addition to her parents, she was preceded in death by her husband, James, on January 21, 2019, two brothers, Dale and Karl Rumbaugh, one sister, Donna Shuster. A memorial service will be conducted Tuesday, February 12, 2019 at 6:00 PM at the North Apollo Church of God, followed by a reception where family will receive friends in the social hall. Pastor Lee Rupert will officiate. Arrangements have been entrusted to the Kelly L. Corridoni Funeral Home LTD, 400 Indiana Avenue, Avonmore, PA. Interment will be held at Edgewood Cemetery in Saltsburg at the convenience of the family.